Buying a home is not something you do every day, so most buyers will benefit from a basic overview. 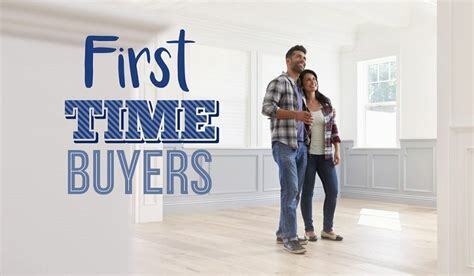 An introduction to the process is even more important for first-time home buyers who don't have the benefit of previous experience. While every situation is different and the process can vary from locality to locality and state to state. An agent can send you listings directly from MLS that fit your parameters, and you won't waste time looking at active short contingent listings that are under contract. A good agent will also guide you through the entire process from start to finish relieving a great deal of stress. Buying a home can be an overwhelming process and emotionally draining. Finding the right home is not always an easy task. Schedule a maximum of five homes a day to tour because any more than that will make any buyer's head spin. Most buyers conduct a lot of research online before ever stepping foot in a home. Buyers spend an average of six to eight weeks, according to the National Association of REALTORS, trying to figure out where they want to live. Once the neighborhood is selected, most buyers end up buying a home after two or three home tours. Again hiring a buyer's agent will help to make this process much smoother. Also, beware of new builds. Builders will always try to have you work directly with them instead of being represented by your own agent. This is like representing yourself in a criminal trial. The builder does not have your best interest in mind. Their interest is in selling the homes they are building. Having your own real estate agent to represent you with the builder will save you many headaches. It's not always necessary to have a mortgage broker or bank in your back pocket before buying a home, but it's smarter to get loan pre-approval in advance. This way you know for certain how much home to buy. Many sellers won't look at an offer if the seller doesn't have an assurance that the buyer can get a loan. You can ask your agent for a referral to a mortgage broker or check with your own bank/credit union. Compare the types of mortgages available to you and your GFE. Buyers sometimes make the mistake of comparing the sales price of a home to other homes they have seen. It's a mistake to compare sales prices among homes for sale. That's because sellers can ask any price they want. It doesn't mean the home will sell at that price. An agent can provide comparable sales and examine the pending sales. Comparable sales are similar home types in the same condition and location that have sold within the past three months. Pending sales will become the comparable sales by the time your home closes. You may need to pay over list price in a seller's market, especially if many buyers are vying for the same inventory. Your agent can give you a reasonable price range and help to manage your expectations. A good buyer's agent knows there is always more to an offer than its price, but the price is paramount. In some states, a home inspection is conducted before buyers make a purchase offer. In other states, a home inspection is a contract contingency. A contract contingency means a buyer has the right to cancel the contract. You might not want to be locked into buying a home that has a faulty foundation, for example. Sellers are generally not required to make repairs if problems are discovered during a home inspection. A home inspection is for the buyer's edification. However, sometimes when a buyer gives a Request for Repair to the seller, rather than blow the deal, the seller will often agree to repair. Your agent can help you arrange the home inspection and guide you through this process as well. When you are ready to start your search for a new home, please give us a call at Team Emanuele Real Estate. With years of experience and the most professional customer service in the industry, we will guide you through every step of the process. Call or text us today at 702-475-6473. Team Emanuele was established in 2009 by Richard Emanuele. He hand picked a select group of Real Estate professionals that have made it their mission to consistently offer excellent service while helping buyer's and sellers with all of their Real Estate needs. They continue to be a top producing Real Estate firm throughout the Las Vegas Valley, Henderson, and North Las Vegas areas. We have the experience and expertise to help you with Probate Sales, Short Selling, Divorcee Sales, or listing a home that's in an equitable position. We work with first time home buyers, buyers looking relocate locally or from out of state, Investors who are buying and flipping or buying and holding,both residential,commercial and land development. We are a full service Real Estate firm. We look forward to earning your business. Are motto is " Expect Excellence"
"The little voice in my head kept repeating my life-long mantra: "Every problem has a solution." But sometimes the answer is not the one we want. After being under water for nine years post-recession, and seeing no answer after an 18-month search, there it was -- my answer. This senior citizen was a happy guy! One day on my car radio, Richard of Team Emanuele in Las Vegas was talking to me. 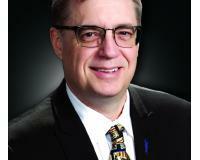 "If you are have a property to sell, or you are under water and want to sell, call me. Piece of cake. No problem." He's using my mantra, I thought to myself. I pulled over to call the radio station and was informed that Rich would return my call within the hour, which he did. Five months later, thanks to Richard at Team Emanuele, I just closed on my condo short sale. Everything was positive along my journey. No unreturned calls; no ignored emails. Gathering of documents was organized with their help. I was kept advised every step of the way. At closing, I was impressed when I received a very generous Seller's Relocation Check. Thanks to Richard Emanuele and my new friends at Team Emanuele, problem solved. My prayers were answered. God works in mysterious ways. Never give up! "